More cases of Police harassment continue to surface online. This new footage exposes an angry police officer who destroyed the phone of a student of the Delta State University DELSU, because ”it was too expensive,”. 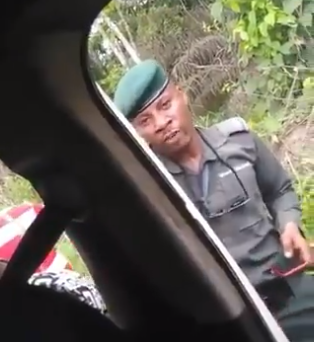 According to the audio from the footage, the jealous police officer referenced his 13 years in service, saying he has only been able to buy a N15, 000 worth of phone. In anger, he smashed the phone on the ground.